The Strahl Pole Mounted Inspection Camera is a very useful device that offers comfortable fit and a high image quality. It is an awesome tool to have on hand for various inspections when portability and compact size become key factors. It is ideal for inspecting different remote hard-to-reach structures and objects: roofs, behind walls, ventilation shafts, tanks, boilers, sewers, bridges, under vehicles and much more. The Inspection Camera has 8 high-output LED Lights and a flex-and-stay camera neck. The pole itself extends from 0.95 meters to 2.2 meters which gives you a total length of 3.3 meters. 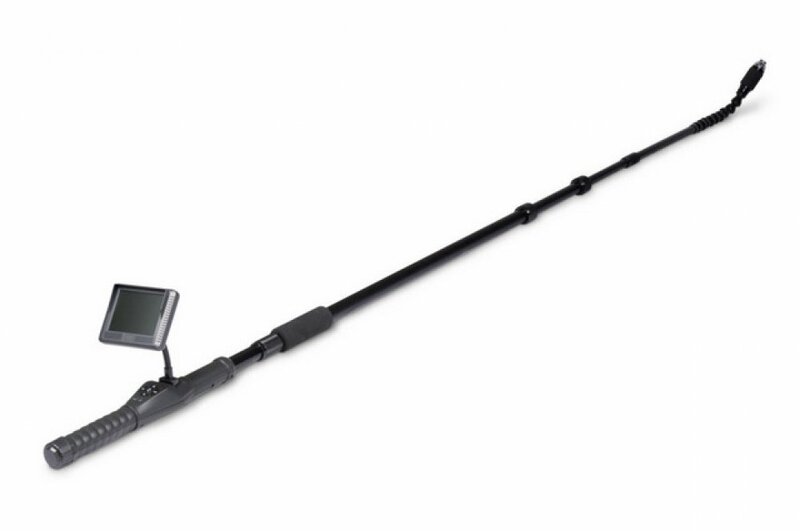 The device has 8 high-output LED Light and a flex-and-stay camera neck. With a 180 degree rotation display it allows to view images from all different angles. The inspection process can be captured on a Micro SD Card. The Camera operates on a high capacity rechargeable lithium battery. The camera is totally waterproof and very lightweight.